His resignation comes days after Theresa May secured the cabinet’s backing for her Brexit plan despite claims from critics that it was “soft”. Mr Davis was appointed to the post in 2016 and was responsible for negotiating the UK’s EU withdrawal. Junior minister Steven Baker quit shortly after Mr Davis – as Mrs May prepares to face MPs and peers on Monday. 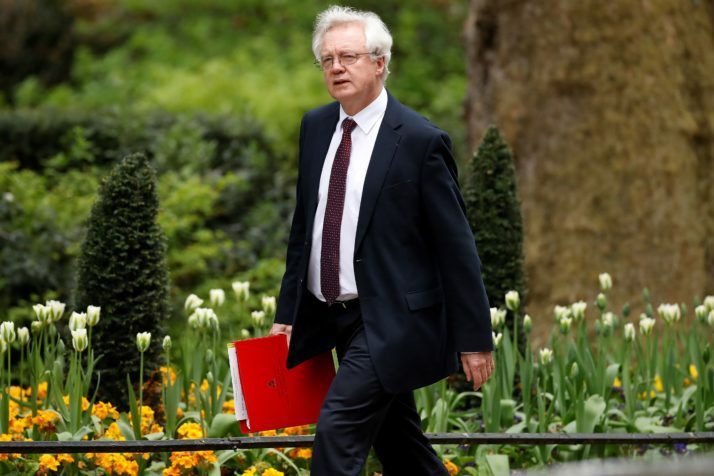 In his resignation letter, Mr Davis told Mrs May “the current trend of policy and tactics” was making it “look less and less likely” that the UK would leave the customs union and single market.